Participating in oil and gas exploration projects in Russia’s offshore zones may become yet another focus of India’s long-term strategy for reaching energy independence. Over the next three decades, natural gas is going to dominate other energy resources when it comes to absolute volumes of consumption, making it the most demanded type of fuel. By 2040 global oil consumption is expected to reach 4.8 billion tons of oil equivalent and gas consumption around 4 billion tons of oil equivalent per year (27 and 25 percent of total primary energy consumption), the ‘Global and Russian energy outlook up to 2040’ by Energy Research Institute of the Russian Academy of Sciences (ERI RAS) projects. The question of energy security is crucial for India. Given that fuel products in India are subsidised and that aligning energy prices to global ones may not find the support of industries, investments in oil and gas exploration abroad makes sense. ONGC Videsh Ltd (OVL), the overseas arm of ONGC, entered Sakhalin-1, a large oil and gas field in Far East offshore in Russia, in 2001. Sakhalin-1 was the first large-scale shelf development project in Russia being implemented under a production sharing agreement (PSA). The project is operated by Exxon Mobil Corp that also own 30 percent, another 30 percent owned by Japanese consortium Sakhalin Oil and Gas Development Co., Russian state-owned Rosneft and India’s ONGC own 20 percent each. India invested over $2.5 billion in Sakhalin-1. Since 2003, a total of 51 extended reach wells have been drilled at Sakhalin-1 to develop two fields, the Chayvo and Odoptu fields. Total estimated resources of the fields amount to 307 million tons (2.3 billion barrels) of oil and 485 billion cubic meters (17.1 trillion cubic feet) of natural gas, according to Rosneft. “Sakhalin-1 project opened doors for other India’s investments around the world, and today India has 37 projects in 16 countries, that is the result of our involvement in Sakhalin-1 more than decade back,” M. K. Nayyar, Vice President of CIS Projects at ONGC Videsh Limited says. The profitability of another India’s investment in Russia - Imperial Energy, an independent UK-listed oil explorer acquired by OVL in 2009 for $2.1 billion, however, is a big concern both for ONGC and for Indian government. Imperial Energy production levels are dropping below targets despite initial investments to boost production from 8,000 barrels per day to 80,000 by 2012-13. “This is the largest project and first one run by any foreign company in Russia having 100 percent equity. It has not given us immediately expected results because he oil that was found is slightly of a different nature than initially was expected,” M. K. Nayyar says. He adds that the majority of reserves have turned out to be tight oil and company is now exploring new technologies to boost production. “I am sure we will be successful and that will be a breakthrough to all Russian industry and not only for Imperial Energy,” he adds. The company also faced bureaucratic hurdles when Moscow refused to give tax concessions and did not include Imperial’s fields in the list of oilfields qualifying for the special export duty formula that could have reduced its financial burden. It’s widely believed that Moscow stand was a reply to licence issues of SSTL, the Indian asset of Sistema JSFC, operating under the MTS India brand. “There are a lot of doubts about the true value of Imperial Energy and its assets. The issue is still under discussion at various levels, but sentiment that the deal will be profitable is low,” Amol Kotwal, Associate Director, Energy & Power Systems Practice, Frost & Sullivan, says. Rosneft CEO Igor Sechin’s recent visit to India may open new chapter in Indo-Russian cooperation in oil and gas explorations projects. “Rosneft shelf projects were a central point of discussion of Igor Sechin and ONGC Group Chairman's, Dinesh K Sarraf,” Rosneft said in a statement. It also mentions Sechin had discussed Rosneft offshore exploration program with Reliance Industries head Mukesh Ambani. Earlier in 2012 ONGC expressed interest in participating in offshore projects developed by Rosneft in partnership with ExxonMobil, Italy’s ENI and Norway's Statoil where foreign investors have 33 percent shares and bare all expenditures at the exploration stage. Joint venture agreements were signed by Rosneft with ExxonMobil for joint offshore development in the Kara and Black seas, Eni for Barents Sea exploration, and Statoil for exploration in the Barents and Okhotsk seas. It’s commonly viewed by Russian industry experts that the shelves of the Barents, Kara and Pechora seas with almost 31 billion tons of oil equivalent of oil and gas resources are likely to be the most prospective areas for offshore oil and gas field development. Rosneft could not accommodate OVL in these projects, however, it has recently offered the Indian company a stake in nine offshore oil and gas blocks in Barents Sea and one in Black Sea. Rosneft also offered OVL a stake in the Magadan exploration blocks in the northern part of the Sea of Okhotsk. “OVL has already assessed five of the Barents Sea blocks offered to India as not lucrative, presumably due to the transport costs involved. The Magadan blocks are under study at the moment,” Amol Kotwal says. India had earlier tried to get a share in Yamal liquefied natural gas (LNG) plant project based on the resources of the South Tambey field. 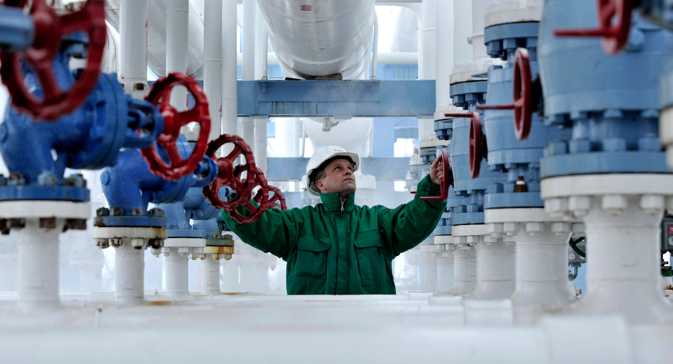 The Yamal LNG is operated by a consortium of Novatek, Russia’s second largest gas producer, which owns 60 per cent in the project, French major Total and China’s CNPC with 20 percent stake each. India is likely to compete with Japan for acquiring remaining 9 percent stake in Yamal LNG. However, according to Kotwal, the project has suffered from severe cost escalations while its main promoter could come under the cloud of US sanctions. “Whether the investment in Yamal will be profitable for India depends to a certain extent on how Western sanctions on Russia pan out,” he adds. Meanwhile, Rosneft which is actively exploring the Kara Sea, extension of the West Siberian oil and gas province with estimated recoverable oil resources at 6.2 billion tons and hydrocarbon resources at up to 20.9 billion tons of oil equivalent, is considering the construction of another LNG plant near the Yamal Peninsula. At present Rosneft is developing a gas liquefying plant in the Russian Far East, a $15 billion venture with ExxonMobil. The plant with a capacity of 5 million tons per year is expected to start operation in 2018-2019 and supply LNG to Asian markets. Wood Mackenzie’s analysis released late in 2013, observed that Russia’s focus will shift from easier conventional onshore projects to more difficult and expensive tight oil, LNG and Arctic development to maintain production in the longer-term. “Russia currently accounts for 15 percent of global oil and gas production but only 7 percent of global CAPEX - so a significant increase in international investment is required to promote development and realise the production potential from these areas,” Ian Thom, Head of Russian Upstream Research for Wood Mackenzie said. He cautioned, though, that business in Russia is never straightforward and while the majors are quite successful, a number of mid- and large-cap international companies that had entered Russia in the past two decades had since left unable to compete with domestic companies that were better equipped to negotiate the regulatory framework and that benefited from synergies with large existing positions.